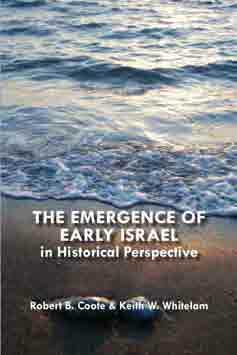 This highly original study takes a panoramic view of history in order to set the emergence of Israel in the broadest possible perspective. It begins with a study of the nature of historywriting and the increasing problems involved in utilizing the biblical text for historical reconstruction. The authors suggest an alternative approach which assigns priority to interpreting archaeological data within a broad interdisciplinary framework. The book provides a broad overview of settlement patterns and social relations throughout Palestinian history from the middle of the third millennium BCE to the present day in order to illustrate how the emergence of Israel in the early Iron Age fits into the march of time. Archaeological evidence for the appearance of dispersed settlements in the highlands and steppes of Palestine at the beginning of the early Iron Age followed by the rapid centralization of this area suggests that Israel emerged within Palestine in response to the decline in east Mediterranean trade at the end of the Late Bronze Age. The development of an Israelite monarchy is seen as being inextricably linked to the factors involved in Israel's emergence-as distinct from much previous research which has presented the monarchy as alien to the origins of Israel. This volume is a reprint of the 1987 edition with a new preface by Robert B. Coote and Keith W. Whitelam setting the work in the context of recent debates on the history of ancient Israel. Robert B. Coote is Nathaniel Gray Professor of Hebrew Exegesis and Old Testament at San Francisco Theological Seminary and the Graduate Theological Union. Keith W. Whitelam is Professor Emeritus of Biblical Studies in the University of Sheffield.